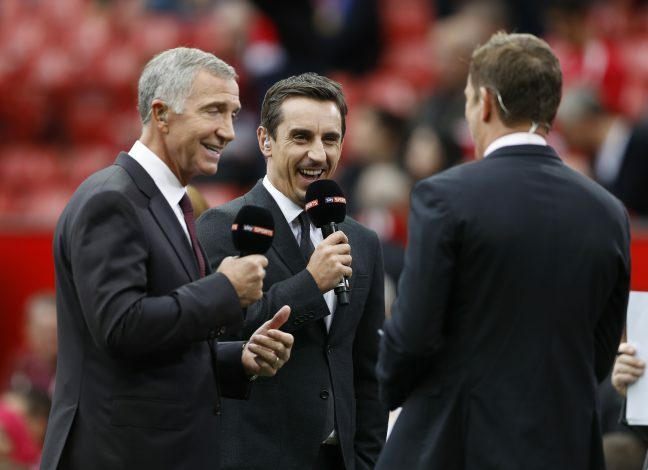 Manchester United legend and Sky Sports pundit Gary Neville has claimed that Liverpool will once again become a force to be reckoned with. The Reds have made an abysmal start to 2017, having only won one of the ten games they have played since the turn of the year. Their poor form has not only seen them get knocked out of both the EFL Cup and the FA Cup, but they are also extremely close to getting completely left out of this season’s Premier League title race. Many Liverpool fans have already begun calling for manager Jurgen Klopp’s sacking, and some of the supporters launched a protest by getting the hashtag ‘#KloppOut’ trending on twitter following the Merseyside club’s 2-0 defeat at the hands of Hull City on Saturday. However, Klopp and Liverpool have been backed by an extremely unlikely ally during their crisis: former Red Devils’ defender Gary Neville. The well-renowned pundit has claimed that it is only a matter of time before the Anfield giants begin performing again, as getting knocked out of all the other competitions is only going to help them focus better on securing a top 4 finish in the league. Speaking on Sky Sports, Neville stated: “Liverpool had a period where they could pick the same side, they had that week to prepare. The minute that that squad hit three games a week, with the way that they play, was always going to hurt them. You cannot play that way three times a week. “Liverpool will get stronger as the season goes on. Now they are out of the cups, they are back to that period where they will have a week between games, and that is when they get can get their energy up and become devastating.